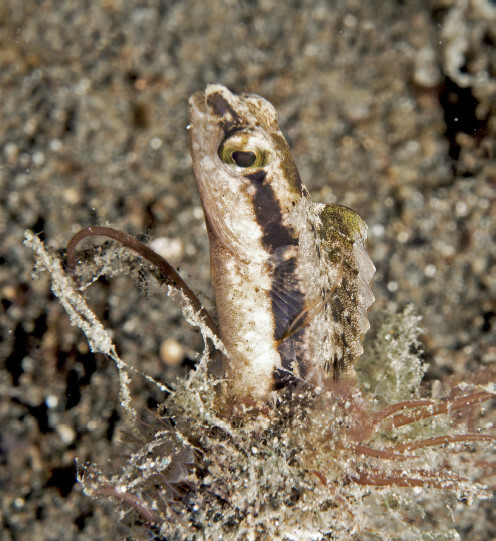 So… apparently dwarf fangblennies are a thing that exists in the world (who knew?!). They belong to the genus Adelotremus, and a new species was just discovered in Indonesia. 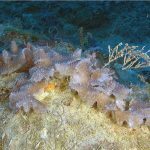 If you’ve never heard them before, it’s probably because only a single species had previously been known, which was described in 2012 from a single specimen collected in the Red Sea. It doesn’t get much more obscure than that. 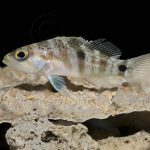 The newly minted Spotfin Fangblenny (Adelotremus deloachi) owes its discovery to a chance encounter by diver/photographer Ned DeLoach, who you might know from his extraordinary series of coral reef field guides or his blog—blennywatcher. 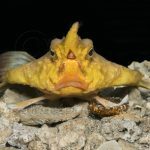 This fish first came to his attention in 2012 during a dive in Bali, and, being unable to identify it at the time, he recruited the help of ichthyologist Mark Erdmann. Local dive guides were able to direct him to the precise spot that Ned had discovered this fish—a sandy slope, 17 meters deep—and it’s quite likely that it was this very same specimen which was ultimately collected as the holotype for the species. 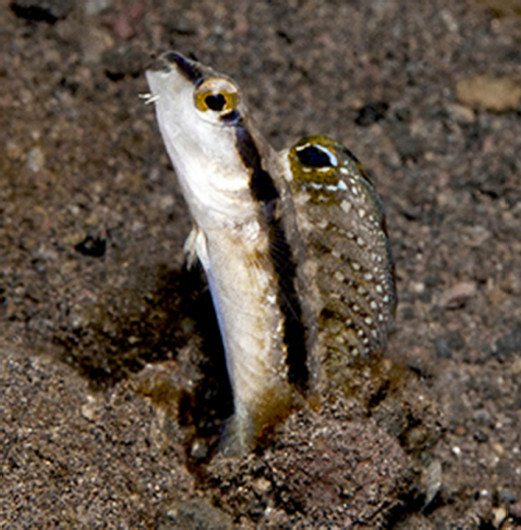 Additional specimens were subsequently found from a similar habitat at Lembeh (located near the northern tip of Sulawesi), which likely indicates that this species is widespread in the Coral Triangle. The largest specimen collected thus far is a 34mm male, putting this fish is the same size class as Trimma gobies and Pseudomugil blue-eyes. And there is some clear sexual dimorphism in the genus, with the dorsal fin of males having a sail-like shape and a prominent blue spot anteriorly. 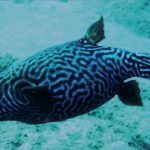 Given how much dive tourism takes place at both Bali and Lembeh, it’s amazing that this fish went as long as it did without being noticed. It’s even missing from Allen & Erdmann’s massive three volume treatise on the fishes from this region, which speaks to just how hard it must be to find Adelotremus in the wild. Specimens from the Red Sea are reported to conceal themselves within the discarded shells of scaphopods, while those photographed in Indonesia seem content to dwell in vertical burrows dug into the sandy substrate of their environment. It would seem they are masters of camouflage. 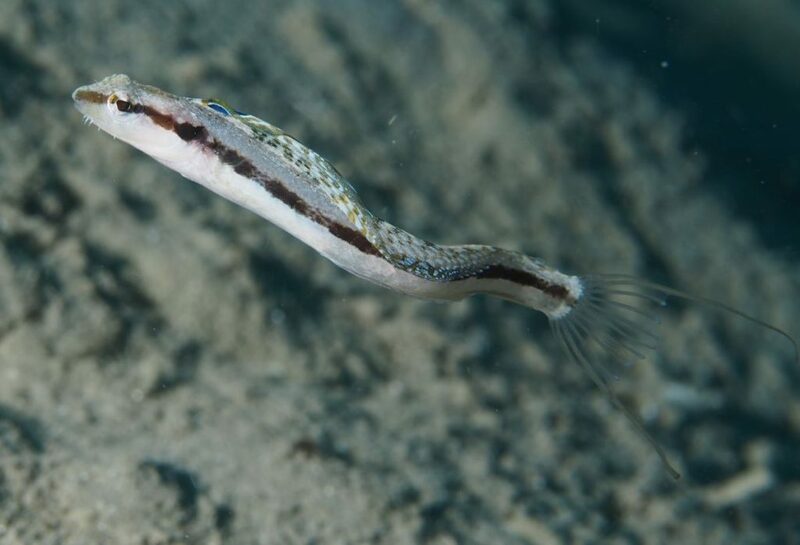 If they’re anything like their closest relatives—Petroscirtes and Meiacanthus—we can expect them to feed on a mix of benthic invertebrates and probably NOT on the skin, scales and mucus favored by some of the other fangblenny groups. Needless to say, there are no records of either of these dwarf fangblennies having ever been collected for aquarists, but they’d certainly make for an intriguing addition to a smaller reef tank. Joe is classically trained in the zoological arts and sciences, with a particular focus on the esoterica of invertebrate taxonomy and evolution. 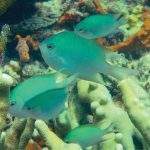 He’s written for several aquarium publications and for many years lorded over the marinelife at Chicago’s venerable Old Town Aquarium. He currently studies prairie insect ecology at the Field Museum of Natural History and fish phylogenetics at the University of Chicago. GNC BluRay – This New Italian Ceiling Light Looks Great!